I'm feeling particularly reflective lately. These past couple years have been transformative in many ways for me. As my youngest child approaches her 2nd birthday, and I make the decision whether to compete again (or not) at this year's UFE World Pro Champions ...I reflect. In this post I think about the main elements of the 1 year rebuild I undertook post baby #2 to defend my World Pro Championship title....and what it has meant to me. To set you up for this story, before baby #2, I had been undefeated in natural fitness competition, a sport I love with an organization I wholly support. I even claimed the 2012 & 2013 World Champion Bikini Pro Titles (UFE) after having my first baby. I've been here before. Up 35lbs and a new baby in my arms. Core and pelvic floor in serious need of rehab, some excess fat, soft & weakened muscles. With a heart totally in love with a tiny little newborn and belief in myself as a strong mom, there was no hate this time of my post-partum body. I'd like to say that was the case the first time I had a baby, but it wasn't. Of course I loved the miracle of growing and having a baby, but like many I felt out of sorts with the weakened, stretched and somewhat damaged version of yourself. This time my view of myself post-baby was different, not because my body was very different, but because I was a very different women. This time I was an empowered woman. I knew with time, consistency, nurturing, retraining, and nutrition that I could rebuild my body. There was no rush to conform to any expectations of "getting back in shape" for me. There was only my own standards about how lasting I wanted this process to be. I had a very important job ahead of me - I had new baby Faith and my 4 year old son Curtis to do my best to raise (and enjoy, and keep up with!). How would you design your "ultimate body"? Instead of thinking about how fast I could "get back into shape", I looked saw this as an opportunity to design my ultimate body. You may think I mean shape and size on this train of thought, but I wanted much more than that. I don't compromise on quality and good enough isn't good enough. I also committed to keep my priorities straight as nothing can come at the expense of my family. I may love fitness, and work, and my business, and my career....but I love many things (don't we all)...and I love nothing more than my family. Weight-lifting just became the avenue I discovered that allows me become the woman I want to be - as I build myself physically I build myself mentally. This is the power of the barbell. So to achieve my ultimate goals, I needed to go slow, get strong from the inside out, and accept this would take a while. So I proceeded in very deliberate & progressive phases. Having a personal training and nutrition background was a blessing of course, but honestly there was no roadmap to get strong from the ground up with the requirements I described above. I had my sights set on better than ever (stronger, functional, lasting, maintainable in a busy life), I was in no rush, but I was going to figure it out and make it happen. I've never been intimidated to tackle a hard project - and found these challenges became the spring-board to spread a more empowered and lasting approach to other women through my training company Sisters In Shape & other fitness outlets I'm blessed to be involved with (Busy Mom Gets Fit programs, Gorgo Magazine, Isagenix). Food is powerful. The sooner you respect the power of your nutrition, the sooner you'll unlock it's power. 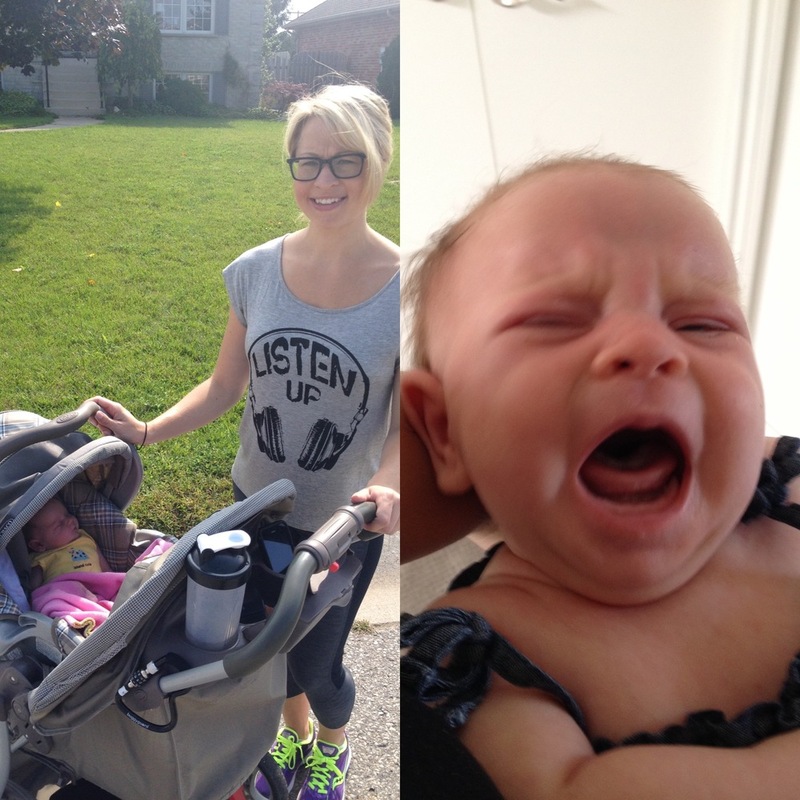 Tired mommy, digestive chaos, and breastfeeding needs. Three very good reasons to put nutrition centre stage right away. Instead of using food as an indulgent comfort, it became my #1 power tool. Yeah, I was tired. I didn't cook much. I just kept my food prep simple but fresh. There wasn't a "meal plan" or a "diet". There were lots of veggies (especially the green ones, like kale, broccoli, spinach, green beans), fruits, lean proteins, complex carbs, dairy, some healthy fats. I was going to get every nutrient powerhouse working for me so that I could feel better and nourish myself). There was walking - stroller, fresh air, walk. Just 1 block was hard that first week, but then a bit further each day. I introduced some pelvic floor and core retraining basics but I didn't learn about the best methods for this area until I was 8 weeks postpartum (Phase 2) but ideally that would have been included in Phase 1. I made mistakes in this first phase - I simply followed the general guidelines of waiting 6 weeks post-baby before resuming activity. My doctor gave me standard six week check up OK. So I thought it was ok to start jogging at that point. It wasn't OK. My body wasn't ready for the high impact of jogging. Few women's bodies would be OK for impact exercise (jogging/jumping/burpee/HIIT) without retraining, but fortunately I was able to correct this in Phase 2. I had some fat to lose. But I didn't worry about that after I had baby Faith - not my priority. I would catch people eyeing up my belly, and at least a couple people asked when I was due. Oh well. But after a couple months, the squish started to bug me so I addressed it. Not with crazy workouts and a super tight diet. Instead, I reduced my treats and I tracked my food for a couple months. Tracking my food let me see where where I could improve my nutrition. The result? I steadily lost the weight that bothered me. Of course I wanted to eat treats more often, and yes I wasn't perfect. But I'm a practical person and don't see the point of letting something drag you down and sit there doing nothing about it. If you need help, get help. I know the hard way that life's too short to waste. I was fortunate through my research to come across core restoration techniques in this phase as I sought out how to restore my core. I cringe thinking about how damaged our cores get with pregnancy - I still vividly remember the achy, broken feeling there. Yet we aren't given any kind of rehabilitation treatment. Instead, in North America you get a baby out of your body then then you're home within 48 hours. I wrote a separate blog post on this topic that I hope you'll check out as few fitness professionals are giving this area enough attention > Blog: Mummy Tummy & Pelvic Floor Power. I took the fundamentals Bellies Inc. taught for restorative core exercise and even obtained my certification in this area. In the months that followed I took these fundamentals to a whole new level and built my flattest tummy and strongest core ever. I lost the weight yet it still wasn't time to think about a 'competition ready body". I lacked strength, and strong was high on my list of requirements in this process. So I started again as a beginner weightlifter. Yup....beginner program. I'm grateful for that humbling experience. That difficulty turned out to be a gift. I reconnected with what it felt like to start out again (and yes, it's hard but it's soooo worth it to stick it out). I will carry the memory of that grind, the doubt, and the attempts/fails with me the rest of my life. 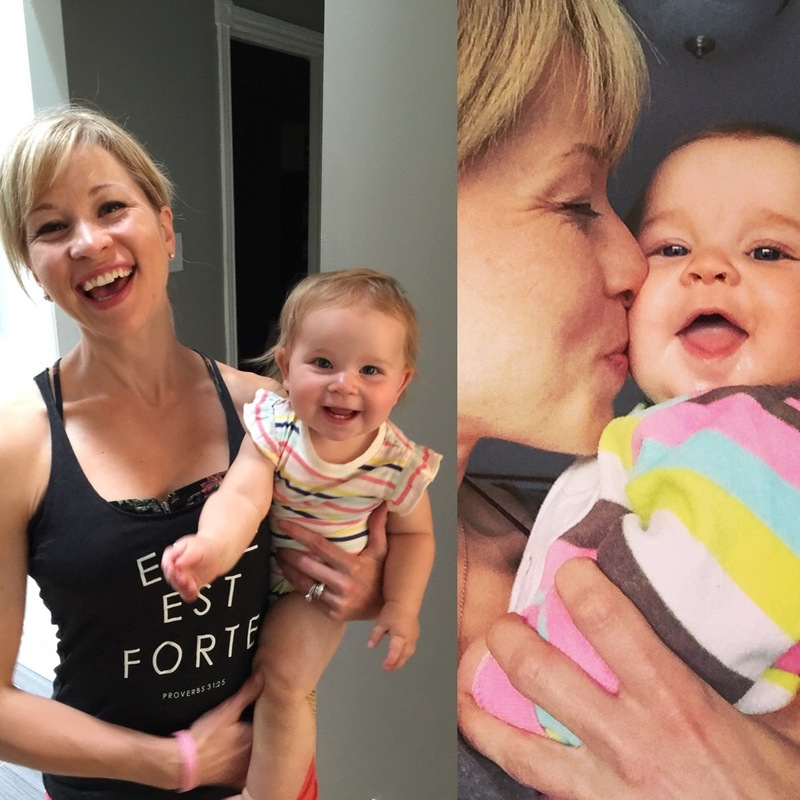 Beginner weight-lifting program, then intermediate for a number of months, then around 7 months post-partum I dipped my toe into advanced lifting. And in my first month of trying to be "advanced" was far from magical. I was still weak. I sucked. It sucked. But I was determined to be strong so I didn't quit. I was unstoppable because I knew that strong was the only way to my real goals. You must create strength. Life is too hard not to have that foundation. Build yourself strong. Creating shape is all about the build. The beautiful build. Our bodies are truly amazing. Aging bodies can turn back the clock with supple firm muscle tone. Unconfident slouched stances can become power women with shoulders set back, chest high and diamond shaped calves in heels. Stairs that used to take your breath away can pump your feminine quads as you bound up each step. That "tone" look so many women are after is actually lean muscle. You must build muscle to look "toned", especially the older you get. To achieve this means building quality lean muscle and that is not easy. The change process is gradual - no overnight transformations, but the benefits, oh the benefits! You get results that last, you get to design your dream shape, you can gain confidence and that's just a few of the benefit. I described above in Phase 3 that my build started with strength. I then progressed into volume loads. I used volume instead of heavy lifting to sculpt my muscle for the majority of this past year as I couldn't safely increase weight load. My core wasn't ready to lift heavier. Yet I could still build muscle without lifting heavier, it just required a different method. Volume training requires you to think beyond 3 sets of 12-15 reps! This style of training has become a key component in our Sisters In Shape training methodology in advanced stages. At the start of my build phases I also made the important decision to include a coach in my training. I had a short list of possible coaches that I felt could help me get to the next level, but the deciding factor was that the coach needed to share my values of natural, balanced & healthy. I didn't need to look very far and approached one of our own Sisters In Shape coaches to work with me on my rebuild. SiS Coach Leah Larson truly is amazing at what she does, and pushed my "good" into "great". Of course, I wanted it to all go along faster. I wanted my body to respond more. But I resisted pushing it when it wasn't ready. I STEPPED BACK IN MY TRAINING WHEN MY BODY GAVE RED FLAGS. I didn't care about a timeline. Not enough fitness is created with long-term and sustainable results in mind. Insanity, bootcamps and "go heavy" & "go hard" are unacceptable without our bodies being ready for that. I got stronger from the inside out, and in the end it showed. I was built stronger then ever. In the final weeks of my year long rebuild, it was time to lean out to show off what I built for "stage ready". Stage ready lean is lean. Not maintainable nor a goal of mine to have year round. I love my everyday fit body. To lean out I included cardio 5x a week, and reduced my calories slowly. I also did a weekly Isagenix Cleanse day. 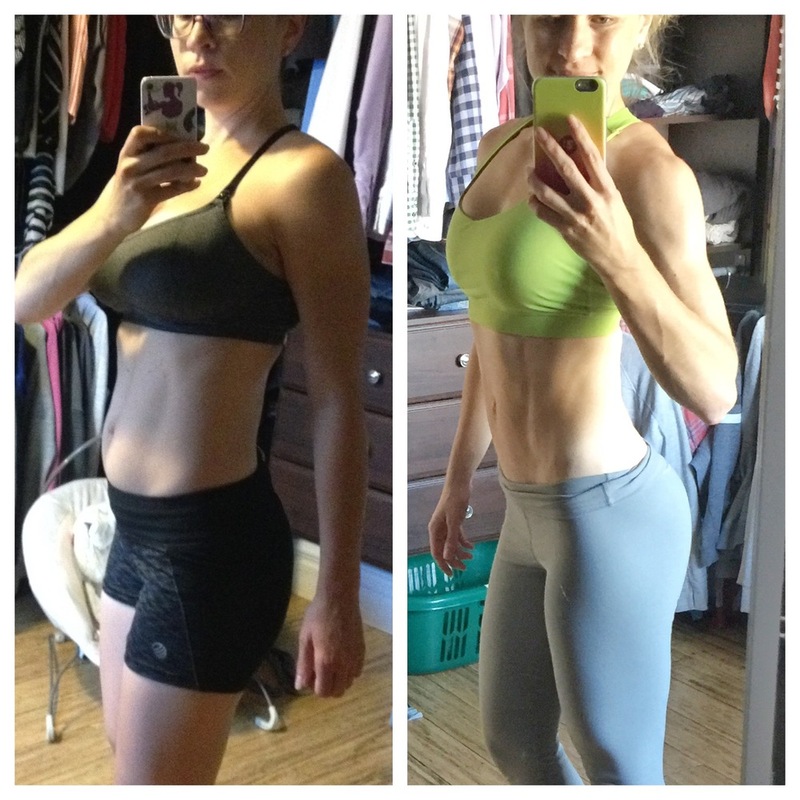 My lean out was 3-4 weeks of the total 14 month process, and it was 7 lbs of fat loss from my already small 120lb (5'3") frame. My stage weight is around 112-113 lbs. Defending Pro World Championship. 14 Month Post-Baby. Top 3 World Pro Champions. Me (middle) 1st Place. Yes I won. Yay! That was cool. But this show was about me rebuilding myself to the power woman I know I am. It wasn't about the end result or the award winning body. Newer PostA Workout Plan For Your Body Type: "Skinny Girl"